The human population is expected to reach nine billion by 2030, and the reality of the situation is that our living space and resources are not enough to accommodate the growing populations around the world. In fact, there is a finite limit to these resources, so it is all the more important that we utilise our resources to their maximum potential—not only in order to waste less, but also to use less and thus ensure a more sustainable future. One industry that this can be applied in is the manufacturing industry—in particular that of metalworking, but what exactly does sustainable manufacturing mean? Sustainable manufacturing within the metalworking industry can mean slightly different things in different sectors, but the essence of it is the same; it is the practice of using resources efficiently and economically to reduce environmental burdens, so as to ensure that production of goods can be maintained and supported in the long run. With its various definitions, what do current manufacturers of the metalworking industry think of sustainable manufacturing? 1. Sustainable manufacturing is a responsibility. Renishaw, a company specialising in industrial metrology and spectroscopy, views sustainable manufacturing as an economic imperative and a responsibility that manufacturers should have toward the environment and the society. In upholding this responsibility, manufacturers should minimise waste and optimise efficiency of the manufacturing process. 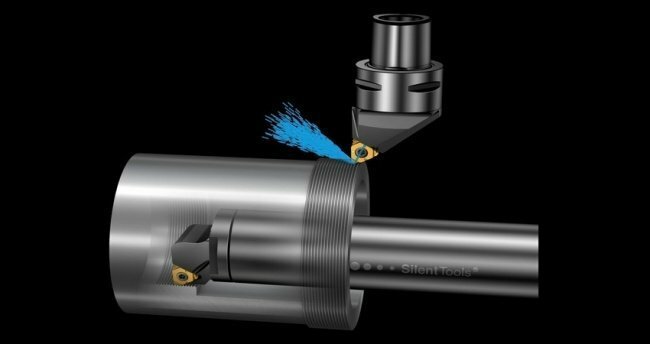 Sandvik Coromant, metal cutting tools and services provider, also sees it similarly. Market leaders need to be perceptive and forward thinking, not taking for granted anymore the world’s natural energy resources but instead making energy consumption a goal in and of itself. 2. Sustainable manufacturing is critical for one to be successful. 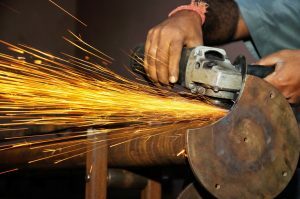 Today, the metalworking industry is faced with challenges such as a tightening labour market and increasing global competition, on top of dwindling natural resources and space. Sustainable manufacturing for a lean manufacturing process is therefore important for a value creating business model, says Sean Looi, general manager, Creatz3D. According to Iscar Metalworking, with the developed global world focusing on going ‘green’, companies should support the sustainable manufacturing movement as well. Manufacturing should be more environmentally friendly by using green materials and improving processes in order to conserve energy, thereby achieving sustainability. 3. Sustainable manufacturing considers the start and the end. Specifically, it is about the economic use of material, says Pete Baxter, vice president, Delcam. It is about reducing the carbon footprint, keeping level of waste low, and ensuring products can be disposed at the end of their life cycle, ground down and reused. With these ideas of what sustainable manufacturing is and why it is important, how can manufacturers ensure sustainability in their processes? Where can sustainable manufacturing be enforced? There are different areas in which manufacturing can be made sustainable. These include the process of manufacturing products, in the products themselves that customers will use, or in the technology and sustainability practices that a manufacturing company adopts and enforces. In the process of manufacturing, manufacturers can take note of important key points to achieve sustainability. For example, the efficiency of machines can be maximised. This can mean using machines that use less energy, reduce as much waste as possible, produce more within a shorter period of time, and together with its components, has a prolonged tool life. The longer manufacturers are able to use machines in their manufacturing, the lower the demand for such machines to be produced; the savings on resources required can then be deployed elsewhere to where there is a need for the material. The products manufactured for customer use can also help ensure sustainability. Similar to that of manufacturing processes, products that customers use can also be made to reduce waste, promote efficiency, or have a longer tool life. For example, Iscar has developed advanced geometries for the tools it manufactures for customers, such as its helical cutting edge inserts which reduce machining power and hence the energy consumption of machines. These inserts also offer high speed machining, reducing the amount of time and resulting energy consumption for machining. Renishaw’s metrology products also aim to help manufacturers reduce the time taken to produce and inspect components. With their measurement and calibration systems, customers can easily and quickly manufacture products without compromising on accuracy or precision of measurement. Where possible, machines manufactured for consumers can also be smaller and more compact so as to save space in the factory, and this space can then be used for other purposes. They can also be energy-saving so consumers use less energy for the same or more work, which will ultimately reduce the overall impact on energy resources. How a product is manufactured is not the only important factor in ensuring sustainable manufacturing; how a product can be disposed of is also important. 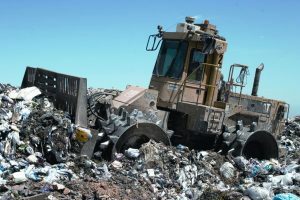 With the end of a product’s life cycle in mind, it is essential that manufacturers develop standards or solutions in which their products can be easily disposed of, reused or recycled in some way. Sandvik Coromant , for example, adopts a life-cycle approach where they purchase and collect customers’ worn solid carbide tools so they can reconditioned or recycled. With this approach, their plants are able to reclaim raw materials from 95 percent of recycled materials, and 80 percent of this is then fed back into the production process. Customers therefore trade in old materials and get new ones in return. Recycling tools in this way not only limits the reliance on the Earth’s raw materials for the manufacture of new tools, but it is also energy-saving as manufacturing tools from recycled carbide requires 70 percent less energy than if virgin raw materials were used. Instead of thinking from the end-perspective, other companies have also thought about products from the start—the material the product is made of. For example, 3D Printlife, a reseller of 3D printers and materials, manufactures a biodegradable 3D printer acrylonitrile butadiene styrene (ABS) filament, so as to minimise the environmental impact once consumers dispose of their printed products. With the popularity of 3D printing in today’s manufacturing world, a solution like this would reduce the amount of waste accumulated from disposed 3D printed products and ensure a smaller environmental impact. The technology that manufacturers use is also important in ensuring sustainability of manufacturing. The software that machines use can help to do this. 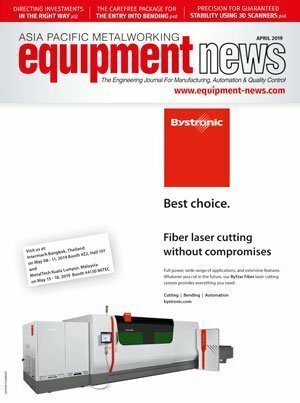 For example, Bystronic’s ByOptimizer ensures that each metal sheet is fully maximised with its cutting plan feature, where it is able to design how a sheet of metal should be cut in order to produce the largest number of parts. Compared to conventional cutting plans, this programme can optimise cutting processes and help manufacturers to achieve material savings of up to 10 percent. Growing with an explosive popularity in recent years is also additive manufacturing, more commonly known as 3D printing, especially with respect to metals manufacturing. It is no surprise that 3D printing is taking off in many sectors such as automotive, aerospace or perhaps even the medical industry because of the benefits that it brings. With this technology, it introduces new design possibilities and opportunities to combine multiple components in production, minimise material use and reduce tooling costs, says Mr Looi. It also allows manufacturers to produce component s domestically unlike previously where manufacturers in some countries may not have had access to certain machines they required. As such, the impact this infant technology would have on the manufacturing industry would be massive in future, possibly revolutionising the global manufacturing network and supply chain. Instead of producing components at high volumes as it was in the past and in most cases still, the present, manufacturers would be able to produce whatever components they need at the point of demand. This would hence reduce the need for transportation of these parts across the country or the globe, and be an economically friendly way of manufacturing as it would reduce carbon emissions required during transport. Additive manufacturing would hence also eliminate the need for warehouses to store excess, unnecessary parts. However, the technology is still in its infancy, says Mr Baxter. Despite its popularity, additive manufacturing still poses a few challenges. In fact, in a recent study by Stratasys, equipment costs, limited materials and post-processing requirements were listed as the top challenges to using or gaining access to additive manufacturing now and in the future by professionals who are already using the technology or planning to use it within the next three years. 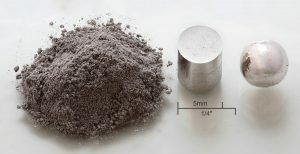 Still, with this low waste and pollution method that also holds significant potential for the metalworking industry in terms of design and function of components as well as the easy adaptability of it to most sectors of manufacturing, additive manufacturing would be one important and beneficial way manufacturers can advance to achieve sustainability. Besides incorporating sustainability measures into their processes, materials or technology, how else can manufacturers ensure their manufacturing is sustainable? Manufacturers can invest in corporate social responsibility strategies or establish standards for their practices. For example, Iscar has adopted standards for environmental management (ISO14001) and energy management (ISO50001) that guide the company to follow a systematic approach for reducing energy use and costs in order to minimise environmental impact. Renishaw has also established its own waste management practices that ensures a reduction in waste produced, and that this waste is properly treated before released to the environment. Earning certifications can help manufacturers ensure sustainability. For example, Renishaw earns the Carbon Trust Waste Standard certification every two years. This recognises the work undertaken by the company across all operations and is an independent confirmation that the company has genuinely measured, managed and reduced its waste. Additionally, companies can have their sustainability practices in place. For example, Sandvik recycles surplus heat at its Gimo facility in Sweden, the company’s largest production facility for the manufacture of metal cutting tools. Since they adopted this practice almost 15 years ago, oil consumption has been halved and the use of freons— colourless, odourless gases that are used as refrigerants—has decreased substantially. With sustainability progressively becoming a core priority for the manufacturing and the metalworking industry, manufacturers should also make increased efforts to support the green movement. By establishing practices and standards to use less, waste less, pollute less and save more energy, the resultant sustainable manufacturing we can achieve would help our Earth would be able to better accommodate to the growing populations around the world. 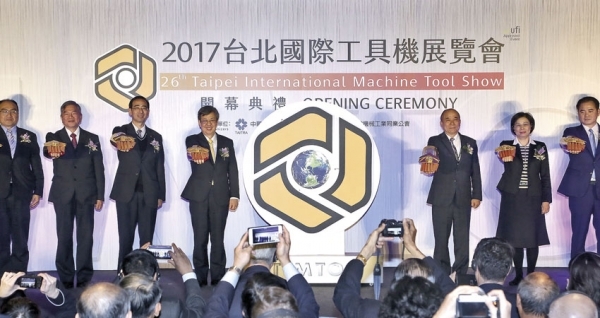 As Taiwan’s machine tool industry matures, it aims to make its mark on the trends that are shaping the global market.